The ICL is a highly specialised intraocular lens implant designed to fit in the space between the native crystalline lens and the iris. 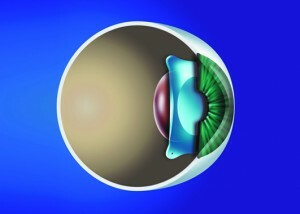 It involves surgery into the eye so is more invasive than Laser eye surgery and carries slightly more risk. Some corrections such as High Myopia are not suitable for Laser ablation and the ICL may be the best alternative. 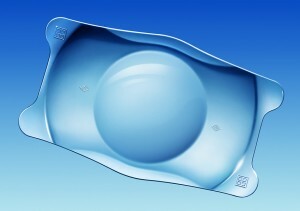 By leaving the native crystalline lens intact it is possible to maintain normal accommodation for reading. Once accommodation is lost with age, it may be better to have lens replacement surgery (where the native crystalline lens is removed otherwise known as Refractive Lens Exchange). In general this surgery is offered to a limited few who have little other options. remainder of your life, only changed if there is a problem which is unusual. When the native crystalline lens ages it gradually becomes more opaque. At some stage the opacity degrades the vision and interferes with normal visual function. When this degradation is no longer tolerable we perform laser cataract surgery to remove the opaque native lens and replace it with a plastic intraocular lens implant. Who Can Provide Laser Cataract Surgery? Although laser cataract surgery is both safe and effective, the procedure may only be performed by the physician licensed to do so. However, experience in using this laser technology is also of high importance. 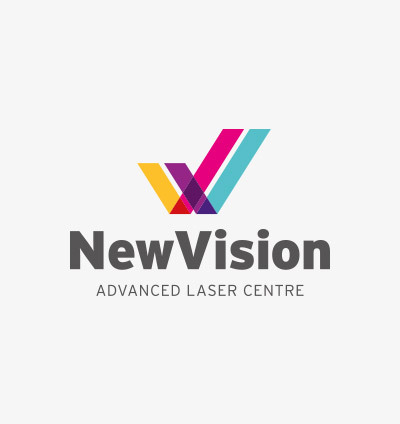 New Vision provides laser cataract removal to clients using only the best of what technology has to offer.